*Referee: Georgios Kyzas. Games 2-1-2 / 9 goals / 2 penalties / 36 yellow cards / 1 red cards / 1 player sent off. 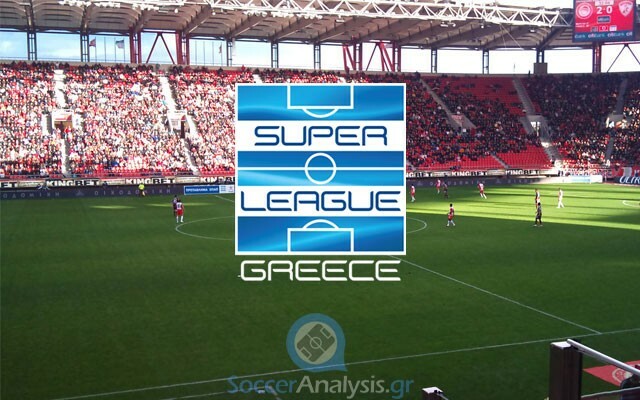 *PAOK announced a link for live streaming for all fans who do not live in Greece, Albania or Cyprus. It is available here. PAOK was supposed to play the first match for 2016 last Sunday but their away battle against Xanthi was postponed due to snow (re-scheduled for 20/01/15). Their next match was also away, this time for the Greek Cup against Kalloni where they suffered an unexpected defeat (2-1). The home team surprised the players of Tudor with an early goal at 3’. The poor defensive behavior put PAOK on the tight spot for one more time. They spent the rest of the match stressed, looking for an equalizer that never came. On the contrary, Kalloni scored again at 73’ after a perfectly executed counter attack. A late goal by Mak (89’) kept PAOK alive in the tournament (away goal rule) but the supporters who followed the team to Mytilini were furious. In fact, they sent the players away when they approached them after the final whistle. Rumors about a change at the bench are getting stronger. PAS Giannina comes from a home win over Veria (2-0) which was not as easy as the final score shows. The players of Petrakis got an early lead at 10’ and Veria added a lot of pressure (attempts 11-13) for the equalizer without any success. Tzimopoulos locked the win at 84’, two minutes after Veria was left with a man down (82, second yellow at Giannoulis). Giannina also had a midweek match for the Greek Cup against Panathinaikos (1-2). Nothing important took place during the first half as the two teams looked influenced by the severe injury of Sanchez (Panathinaikos) at 7’. Acosta gave his team an unfair lead at 57’ (offside) and the remaining match was dominated by Panathinaikos. The Greens added pressure and took advantage of the red cart at Giannina (Karanikas 66’). A goal by Kaltsas at 73’ was wrongfully cancelled as an off side and two more goals came at 75’ (Abheid 1-1) and at 78’ (Petrić 1-2). For the record, Panathinaikos had 5-6 great chances for more goals. Other: Chavez (MID/12/2 goals/2 assists) is expected to leave the team soon. PAOK has conceded goals from worst teams this season (Kalloni, Panthrakikos etc.). They might be stronger at Toumba but they are also under a lot of pressure by their fans. Giannina can find a way to score and I do expect a score of Over 2.5 goals @ 2.00 despite the fatigue from the Cup matches. In case you have not noticed it, Giannina have escaped from Toumba in their last two visits with Petrakis at their bench. PAOK was more reliable at home then and this is exactly why I believe the win of Giannina @ 9.00 is a value bet.